Exterior shot of the Boston Harbor Hotel in Boston. 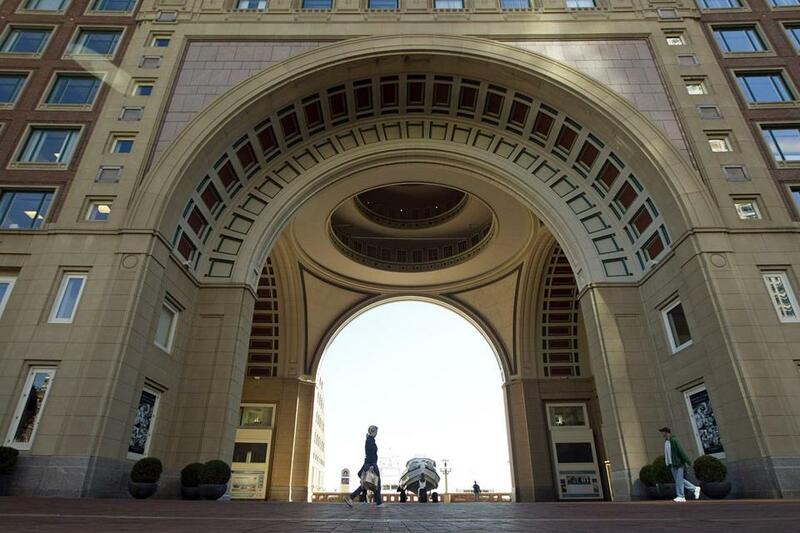 Five Boston hotels stand among the best of the best in the country, according to an annual ranking by U.S. News & World Report. These hotels were awarded a Gold badge for appearing in the top 10 percent of the 2018 Best Hotels in the USA list. For eight years, U.S. News & World Report has been pointing travelers in the right direction with annual rankings of high-end hotels. The list started with the United States, and grew over time to include Mexico, Bermuda, Canada, the Caribbean, and Europe. The Caribbean wasn’t ranked this year, in light of storms that devastated the islands. “We saw this really big need for people wanting to plan trips and vacations and not really knowing where to turn to,” said Hannah Cheney, travel editor at U.S. News & World Report, about the first rankings. Seemingly overnight, the list grew in popularity and size. It is now the travel team’s biggest rankings list, according to Cheney. Last year, around 5,000 hotels were ranked. This year, that number reached over 24,000. According to Cheney, 2,194 hotels were ranked this year in the United States. Seventy of the hotels are in Massachusetts, 47 of which are in Boston and Cambridge. Boston’s Gold badge-winning hotels include, in order of state ranking, XV Beacon, Boston Harbor Hotel, Mandarin Oriental, Four Seasons Hotel Boston, and The Ritz-Carlton. U.S. News & World Report uses expert and user opinions to compile the list. Hotel industry awards in addition to user ratings are incorporated in an algorithm to determine the rankings. XV Beacon, which rose to the top as second best hotel in the state, spoils guests with custom-designed rooms with gas fireplaces, cashmere throws, and rainforest shower heads. Boston Harbor Hotel, which ranked third best in the state, boasts luxurious waterfront views. A drive and a ferry ride away is White Elephant Village, the first-ranked hotel in Massachusetts, located on Nantucket. Here, guests can choose between suites at the inn or private residences. The village is a tenth of a mile away from a public beach, and was awarded a Gold badge from U.S. News & World Report. The Nantucket Hotel & Resort, just a few streets away, also received a Gold badge. Wequassett Resort and Golf Club in Harwich and Blantyre in Lenox made the top 10 percent as well, adding up to a total of nine Gold badge-winning hotels in the state. A total of 12 Gold badges went out to hotels in New England. Twin Farms in Barnard, Vt., was ranked first in the state and fourth in the country. Guests there can explore 300 acres of forest or relax in the spa. The resort offers an abundance of seasonal activities, such as ice skating in winter or canoeing in summer. The two other New England Gold badge-winners are Ocean House in Watch Hill, R.I., and The Chanler at Cliff Walk in Newport. Ocean House was ranked first in Rhode Island, and is set on 13 oceanfront acres. Four Seasons Resort Lanai in Hawaii won best hotel in the country. Guests there watch dolphins and humpback whales jump in Hulopoe Bay, lounge beneath palm trees, and stroll through botanical gardens. The Peninsula Chicago and The Langham, Chicago, ranked second and third in the country, and Four Seasons Resort Hualalai, in Hawaii, took fifth. New York City has the most Gold badge-winners in the country, at 24. Las Vegas, Los Angeles, and Washington, D.C. follow. Nicole DeFeudis can be reached at nicole.defeudis@globe.com.